Protect the device you use hundreds of times per day with Guard Assure. Get your mobile device covered against damage, theft, and loss for less. Swap your phone instantly at any store. Can't get there? We'll mail it to you. The mobile device protection you need for less. Sign up with our protection plans and we’ll immediately make sure your phone is in good hands and taken care of. Our plans were created to bring the best options to the table when it came time to protecting your mobile device. It’s quick and easy to submit a claim via our online form. We do everything we can to take care of our customers! Phones are expensive to fix and without the right protection plan, costs can quickly get out of control. We have two simple, easy plans to give you our best coverage! 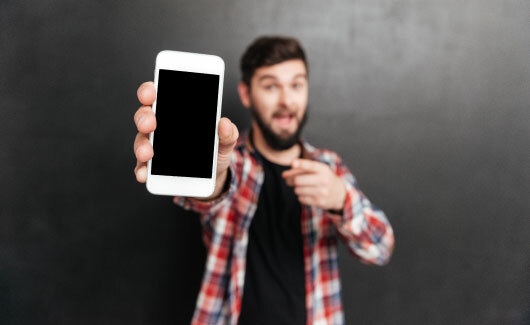 We know how important it is to have a working phone, so strive to make sure that everyone can afford phone protection from life's little accidents. We know that your phone can be your life and we'll be here whenever you need us to help you protect your life if it shatters, get stolen, or stops working. Phone protection helps us out when we least expect it because no one ever plans on losing their phone, having it stolen, or breaking it. We've got you covered! The purpose of buying a protection plan is to protect your valuable assets against life’s little accidents. Guard Assure Mobile Protection will cover up to two separate qualifying occurrences in one calendar year. Let Guard Assure Mobile Protection put your mind at ease! Pick the coverage plan that makes sense to you! "I don’t need a lot of coverage, so I bought the plus package. It’s only $4.99 per month and now I don’t have to worry." "I submitted a claim and then customer service called me within an hour. Amazing service!" "I didn’t even have to worry about going a week without a phone. I was covered and got my replacement in no time." "When my phone was stolen, I didn’t have to worry with my Premium coverage plan. I was covered!" "I dropped my phone in a parking lot and it broke. I submitted my claim and Guard Assure told me I was covered!" "I wasn’t even ready for how easy it was to get a replacement phone. It blew me away!" "My phone was so smashed I didn’t think Guard Assure would cover me, but they did! And now I have a new phone." "The whole process was so simple I felt like I missed a step. But no, it’s really just that easy." "I was covered even when I had already submitted a claim before. Excellent service!"